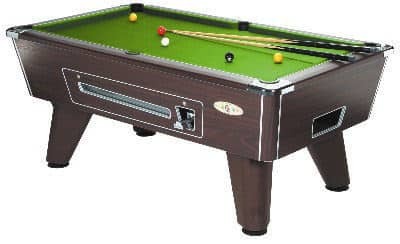 The new range of Omega Coin-op pool tables with their extensive variety of colour-coded combinations have been designed to fit and enhance any location. 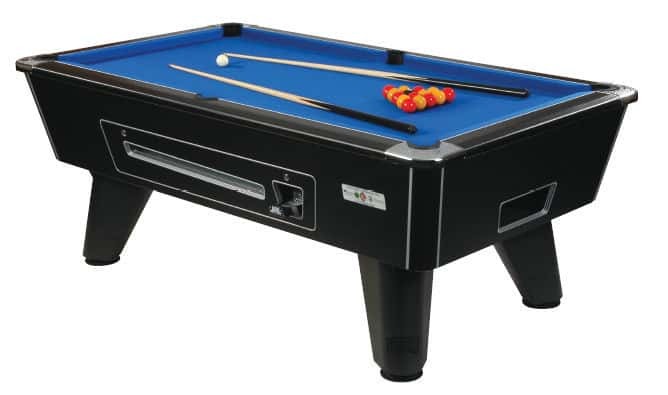 Assembled to exacting specifications by skilled craftsmen, the Omega coin-op pool tables offer a modern design with exceptional player appeal.The following cloth colours are available as standard: Green, Blue, Red, Black and Purple. However a range of custom and speed cloths are available upon request. 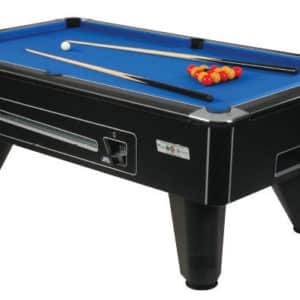 NOTE: Unless otherwise stated these are used Pool Tables which have be refurbished to the very highest standards, but may still have signs of wear and tear. 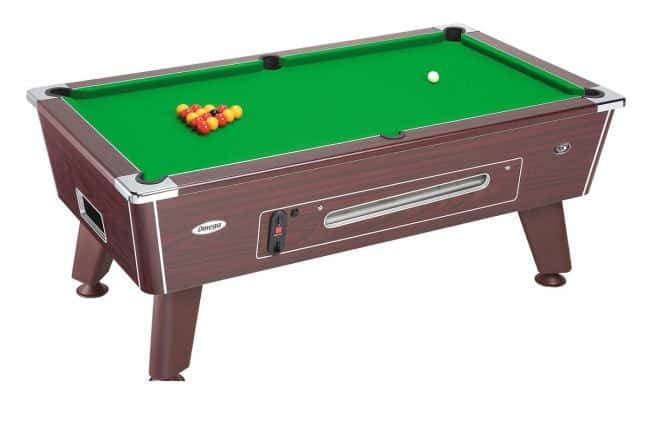 These Pool Tables are subject to a 28-56 day delivery, with delivery times stated upon placing your order given by us for your guidence only, and we will not be held responsible for any delays due to unforeseen circumstances.